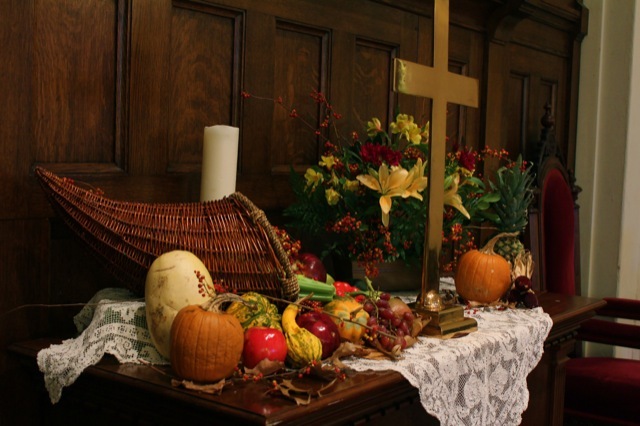 It is the tradition of RCC to have a beautiful cornucopia on the altar in lieu of flowers the Sunday before Thanksgiving. It is always GORGEOUS! This year we had someone pass away the week before Thanksgiving and the family asked for memorial flowers to be placed as well. 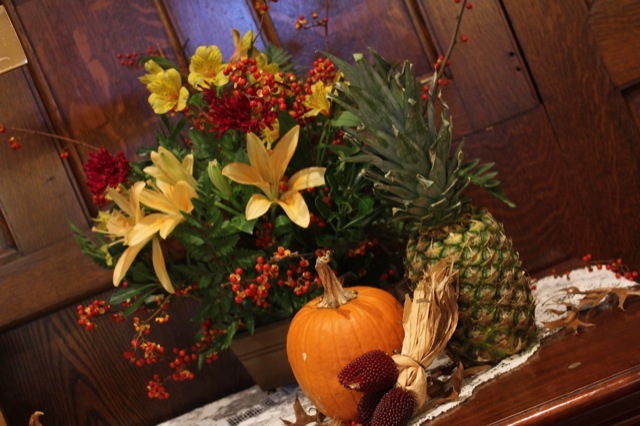 We asked the florist to send fall-colored flowers and then the ladies got to work! Didn’t the do a wonderful job? 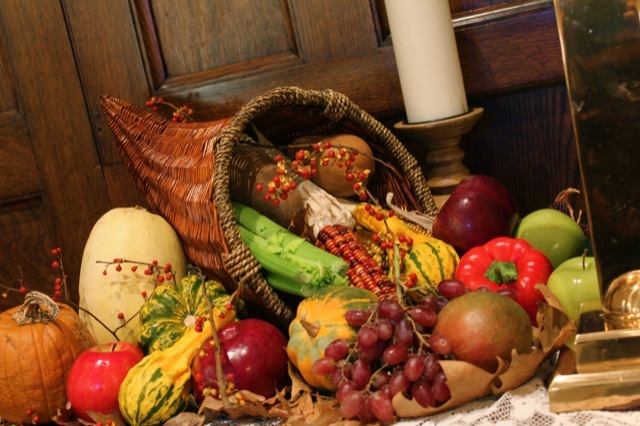 Everything in the cornucopia is real, which is awesome because it looks unique and different every year. I love how vibrant the colors are! The goal was to make the flowers blend into the cornucopia so that the entire altarscape was the memorial (as opposed to having a cornucopia AND memorial flowers – does that make sense?). 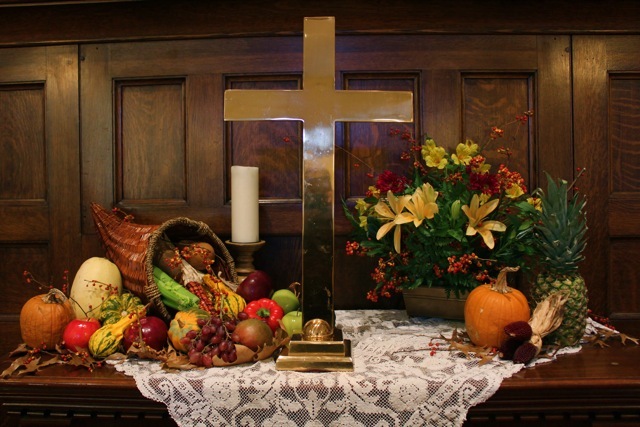 using the berries on both sides of the altars really helped blend the two. We took the two brass candlesticks off the altar this week and used one wooden candle. 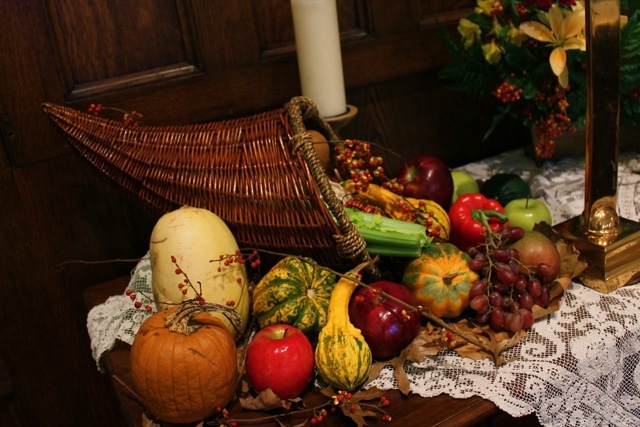 It was rustic and subtle – a wonderful touch! I realize we’re halfway through Advent (HOW DID THAT HAPPEN?! ), but file this away for next year!